If you’ve never chased a wheel of Gloucester cheese down a 295-foot hill in the English countryside, well then you simply haven’t lived. The Cooper’s Hill Cheese Rolling in Brockworth, England, is a local tradition that has become a worldwide phenomenon (unofficially). 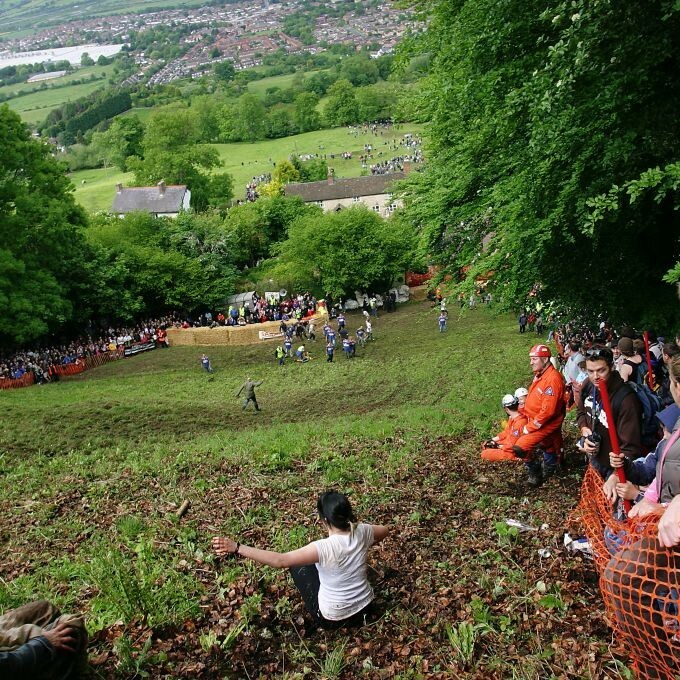 The concept is about as simple as it gets: A wheel of cheese is launched from the top of Cooper’s Hill and the contestants go scrambling, tumbling and rolling down the near-vertical hill after it. Whoever catches the cheese first, wins it. Though there is a lot of hometown pride at play, the cheese has been won in the past by an American man and a Japanese man, proving it’s not only Brits who can chase cheese. The tradition’s origins are fuzzy, but it seems clear people have been chasing cheese at least 200 years and possibly as far back as the Romans. The cheese chased is traditionally a dense, crumbly Double Gloucester that can reach speeds of up to 70 miles per hour. Due to local law enforcement cracking down; however, it has been replaced by a plastic wheel, much to the locals chagrin. In addition, because of the dangerous nature of the event — in 1997, 33 people were sent to the hospital — it was officially closed down in 2010, but the event still takes place in an unofficial capacity. Apparently you simply can’t keep a Brit from chasing his cheese. 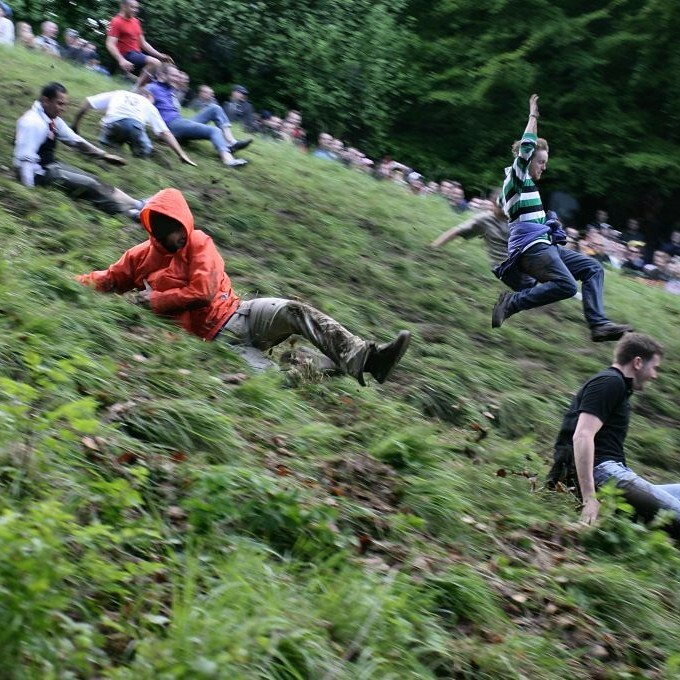 The Cheese Rolling typically takes place the last weekend in May when several thousand spectators gather to watch the five downhill races and the one uphill race. If you go, be prepared to see ninjas, superheroes and maybe even Santa barreling down a cliff-like hill in childlike joy after a wheel of cheese.